Planning a trip to the happiest place on Earth? 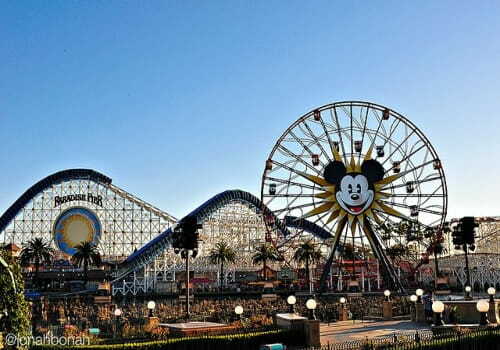 Disneyland Park is located in the center of Anaheim, California, providing a world of attractions, theme parks, and shows that share the Disney magic with every visitor. Frequented by neighbors, tourists, and locals, Disneyland is reputed to be one of the most popular and crowded theme parks in the world. 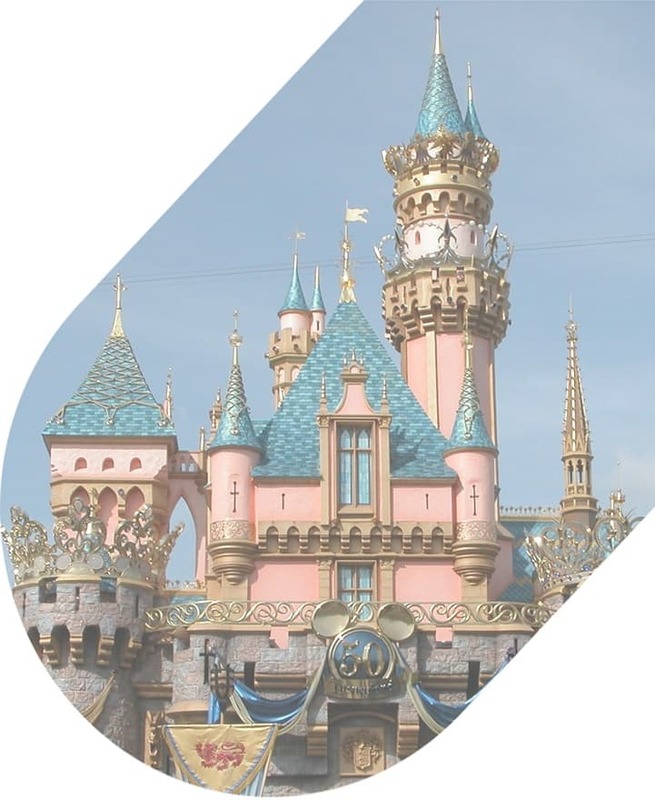 Providing easy access to Anaheim and to all of the surrounding metro area, National Charter Bus is here to make your next Disney trip easier than ever at 323-201-2618. We operate within a network of thousands of charter buses across the nation, allowing us to locate the perfect bus for every trip, every time. Our team is available all hours of the day to arrange perfect transportation for your upcoming Anaheim excursion. Field trips, conferences, wedding events, and more are all made easier with a private coach. National Charter Bus is your go-to service provider for reliable transportation, qualified drivers, and comfortable amenities such as clean interiors, WiFi, reclining seats, and onboard restrooms. No matter how far you’re traveling, you’ll enjoy the ride when you book with us. Getting from the airport to the Disneyland Resort can be tricky since there aren’t a lot of public transportation options available in Anaheim. If you’re flying into the area from the John Wayne Airport or the Los Angeles International Airport, you should consider the costs and routes of a Disneyland shuttle, which does not offer the flexibility and price of a private bus rental. Though John Wayne Airport is only 14 miles from Disneyland, if you were to book a Disneyland shuttle from the airport it can take you over two hours to get to the resort. Additionally, the blue shuttle buses going from LAX to Disneyland can cost up to $80 per person. A personal minibus requires lower rates at around $60 per person with no chance of missing your charter bus due to extended departure times. You won’t have to wait in those long entry lines at the Esplanade and can get straight into the park to get your magical day started. When you land, keep in mind that the airport shuttles and Disneyland Resort Express will only take passengers to the Disney owned resorts or hotels and often follow limited departure times. Private buses are more flexible and significantly more affordable for larger groups as the bus ride is cheaper per person. A professional driver makes it easy to park hop with a group, granting you more time for your money. Knowing you have a pickup solution at the end of the day will help you get the most out of your time and experience in the theme park. Your rental can drop you off at the entrance, so you will have direct theme park access. Disneyland changed everything we know about theme parks for the better, but the park is still notorious for high entrance and parking fees. Your method of travel to the park may also cause the cost of your vacation to increase dramatically. Whether you’re looking to spend a day at Disneyland Park or enjoy park hopping for a week-long family vacation, a private shuttle can streamline your custom Disneyland schedule from parking hassles to itineraries to making waiting lines a thing of the past. Our professional drivers will keep you comfortable as you ride past iconic postcard views of the enchanting theme park. That’s why we’ve made a list of 5 tips to maximize your time and minimize your cost at Disney. 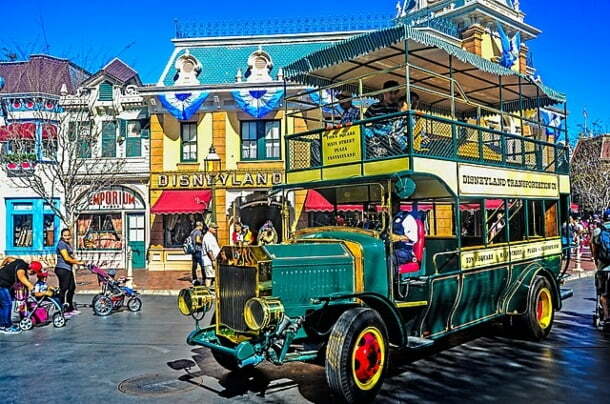 We hope these tips can help you navigate the Disneyland Resort with ease as you are chauffeured to the most spectacular landmarks the park has to offer. Buy Tickets Online: When you don’t buy tickets in advance, you risk the chance of wasting more than half of your morning standing in long ticket booth lines before even entering the park doors. Buying tickets online can save you hours by allowing you to go straight through the entrance. Pick the Best Travel Times: If you’re traveling during peak travel seasons, Disney transit will be filled with crowds. Try booking your own private rental and plan to travel around slow travel season during the months of February or October, so you can ensure a parking spot! Take Your Own Transit: Private travel is a more flexible and affordable solution for larger groups traveling around the resort. You’ll be able to be dropped off at your hotel or nearby destinations at any time with no setbacks. Enjoy the freedom of having more time and less stress with a private rental. Get to the Parks Before They Open: The shortest lines of the day are in the first morning hours of the park’s opening. Pre-plan your itinerary, parking, and tickets so you can start your day upon arrival. Planning ahead allows you to buy yourself as much time as possible to experience the thrill of the theme park rides. Get a FASTPASS: A FASTPASS or Max Pass can keep you out of crowded lines at Disneyland, so you can focus on what’s important: having fun. Bypass lines and crowds so you can complete your entire itinerary in a weekend and get your money’s worth. Disneyland offers some of the best entertainment in California! If you’re looking for a professional rental company to take you to and from the theme park, we’ll assist you in every step, from your pricing guide to trip quote! National Charter Bus makes reserving your rental a simple and easy process at 323-201-2618 . Have your trip details ready and on hand before speaking with your personal representative for more accurate prices based on your group size, travel distance, and budget. Whether you’re traveling from nearby cities such as San Francisco, Los Angeles, Las Vegas, or any other city in the U.S., we’re here to make the trip planning a part of the fun!